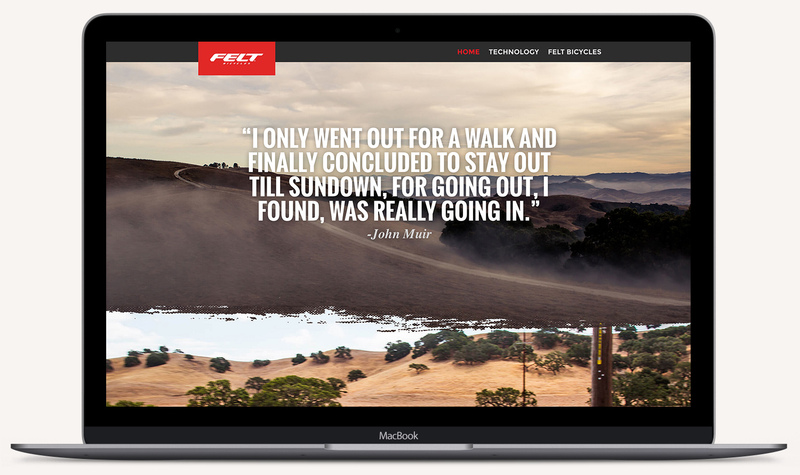 Following the success of the Pursuit For Gold microsite, Felt Bicycles began accompanying every new bike launch with a microsite. 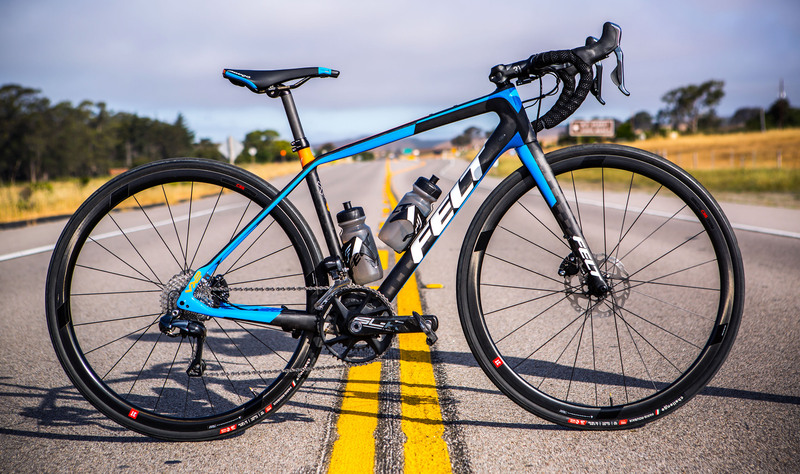 With the launch their all-new VR adventure bike, focus was placed on the rider experience. 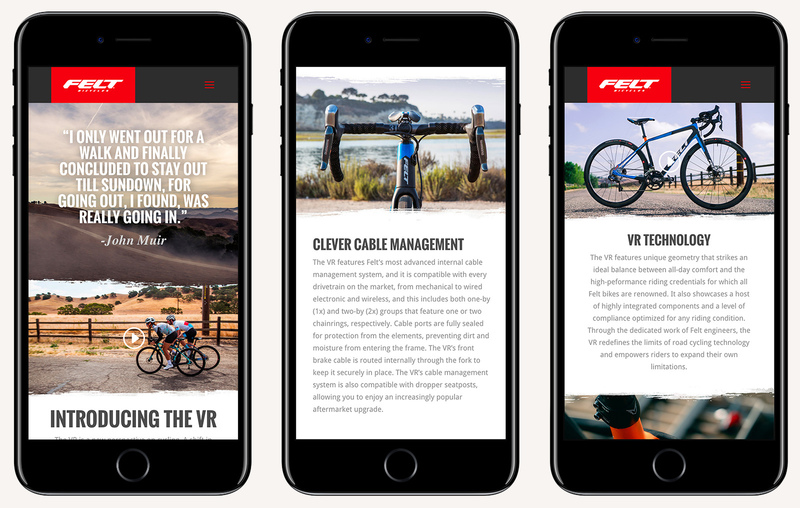 This was accomplished through the use of evocative imagery and empowering storytelling that speaks to the common desires of that part of the cycling community. These stories were then followed up with a second page dedicated to the technology responsible for it’s creation.